According to the American Stroke Association, nearly 800,000 individuals in the United States have a stroke each year. Strokes are the fifth leading cause of death. The two types of stroke are ischemic and hemorrhagic. 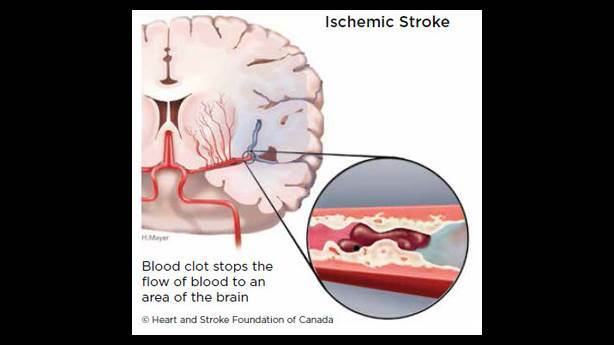 Ischemic stroke are due to clots in the blood vessel to the brain and they account for 88 percent of strokes while a hemorrhagic stroke occurs when a blood vessel bursts leading to the brain. A physician named Dr. Jordi Jimenez Condi has identified a gene responsible for significant recovery in stroke patients at Hospital del Mar. The gene that was found responsible for the recovery in stroke patients is called PATJ gene. PATJ is a gene involved in cell binding and it is expressed vastly in nervous tissue. PATJ is also associated with sleep disorders and obesity. The study used data from over 2000 patients. It showed that patients with specific PATJ gene variants in stroke patients resulted in worse recovery. In the future, the gene variants can be distinguished for each individual specifically and it will allow individuals to have specialized rehabilitation strategies. This is an important study because it will allow individuals to make new drugs that are effective in stroke patients. 130,000 people die annually due to ischemic stroke which can be reduced if new drugs have a positive effect on the genes present in an individual. A stroke can be one of the scariest things to happen to someone, and their family. I myself have had family members go through strokes and because of them, they have never been the same. Just the idea that there is now a way to make the recovery more productive and will be able to rehabilitate in a more specific way to the patient is incredible. Hopefully new drugs that will help people will be able to progess them better and faster so they dont have lifelong disabilities. This is incredible work! I found this research to be very interesting because I have several family members who have had strokes before. Since so many people die due to stroke it is cool to see that discoveries like these are happening. Hopefully this will lead to more future research and new rehabilitation approaches for stroke patients as well as a possible drug that positively affects the gene involved.